A divided Board of Supervisors Tuesday approved an agreement with Southern California Edison defining Riverside County’s responsibilities in establishing a “Community Choice Aggregation” program, under which the county will be able to buy electricity on the open market — in competition with sCE — based on the goal of delivering power to residents in unincorporated communities at lower rates. Supervisors Kevin Jeffries and Chuck Washington cast dissenting votes, while Supervisors Marion Ashley, Manuel Perez and John Tavaglione supported the action requested by the Executive Office. Jeffries reiterated concerns he expressed in November that the CCA concept takes the county away from “focusing on the fundamentals” of local government while also potentially adding to the county’s budget woes. Washington seconded his colleague’s sentiments. The balance of the board withheld comment. The service agreement cinched with SCE was required by the California Public Utilities Commission and spelled out how the county should coordinate with the private utility, whose distribution network covers most of the county, as the CCA is implemented and after it is fully operational. Among other things, the agreement specifies that the county shall supply SCE with meter data and electrical load data, as well as compensate the company for services to facilitate the county as a community choice aggregator. The county will also be required to post a $100,000 performance bond that secures against losses in the CCA development process. The Public Utilities Commission signed off on the county’s CCA plan last month, and Executive Office staff are now finalizing elements that could put the county in the power acquisition business by this time next year. In order for the CCA to function, current SCE customers will have to leave Edison and migrate to the county system, which would come at a cost. SCE will be entitled to what’s called a “power charge indifference adjustment” because of the losses the utility will incur from losing customers for whom it had already bought electricity through futures contracts. The PCIA, better known as an “exit fee,” would be absorbed by the county and passed on to CCA users in their utility bills. County officials said the additional costs would amount to a few extra cents on customers’ bills for a set period of time. About 375,000 county residents will be eligible to receive CCA service. The PUC is expected to announce the formula for calculating exit fees in July. The county is looking at $1.7 million in startup costs for the CCA to operate, and the annual cost for personnel to manage the CCA has been estimated at more than $300,000. A summary report on the downside risks to starting a CCA indicated that opt-outs could be costly. Under the CCA structure, residents and business owners in unincorporated areas would be notified that they will be part of the county electricity distribution program unless they choose to opt out. If enough people stay in, the program would be cost-neutral to the county. However, if people begin flocking back to SCE after the county has sealed contracts to procure power, the program could run into the red, according to the report. New York City-based Good Energy and Oakland-based Keyes, Fox & Wiedman created the implementation plan, alongside county attorneys, detailing how the CCA will work. Good Energy’s research suggested that by converting to a publicly run energy program, residents could net a total $7.75 million in annual savings on electricity costs — or about 7 to 13 percent off each resident’s power bill in the unincorporated communities. The study also indicated that commercial customers could shave up to 10 percent off their bills, though figures tended to fluctuate depending on the nature of the enterprise. CCAs have sprouted in parts of Illinois, Massachusetts, New York and Ohio. 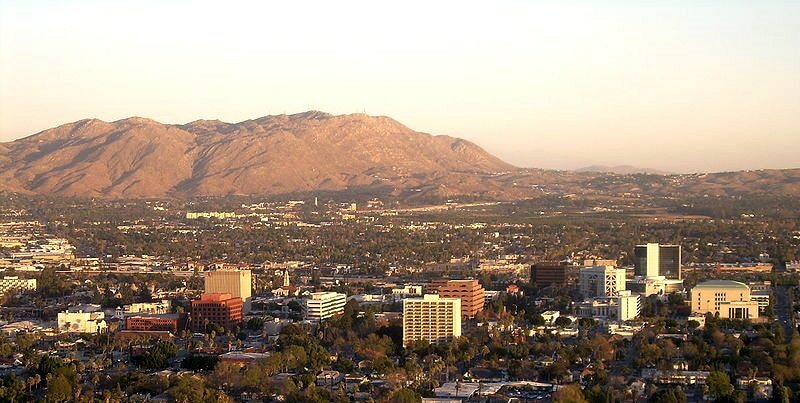 The city of San Jacinto is operating one, and both the Coachella Valley Association of Governments and the Western Riverside Council of Governments are on track with proposals of their own. Ratepayers currently served by municipalities with their own utilities, like the city of Riverside, would not be able to participate in the county CCA. Board OKs Edison Agreement in Next Phase of Electricity Buying Plan, by Contributing Editor, My News LA, April 10,2018.